Most days I wear my mom uniform of Lululemon and nikes, however on occasion I do dress up a bit and wear jeans and a blouse or t-shirt, and flats. 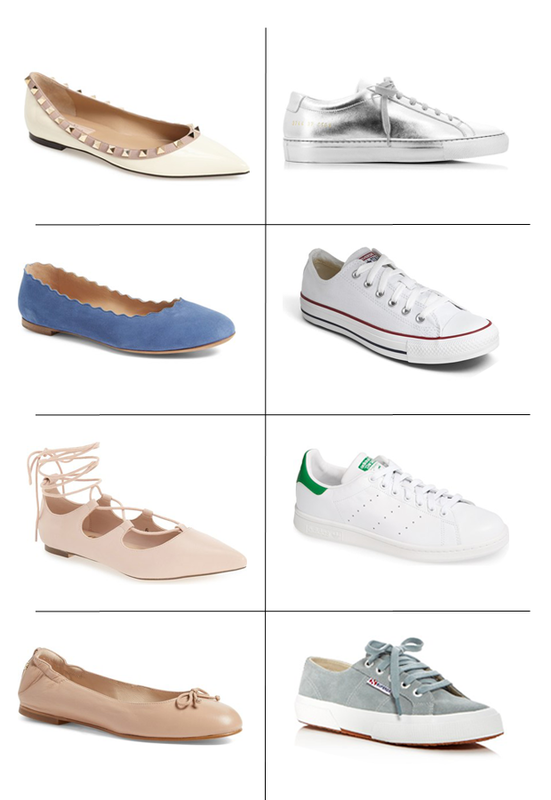 Flats, be it ballerina or even stylish sneakers are a mom’s best friend for both their fashion and function, especially when chasing after a rambunctious toddler! Here are a few of my favorite pairs as well as a couple on my wish list. Enjoy!